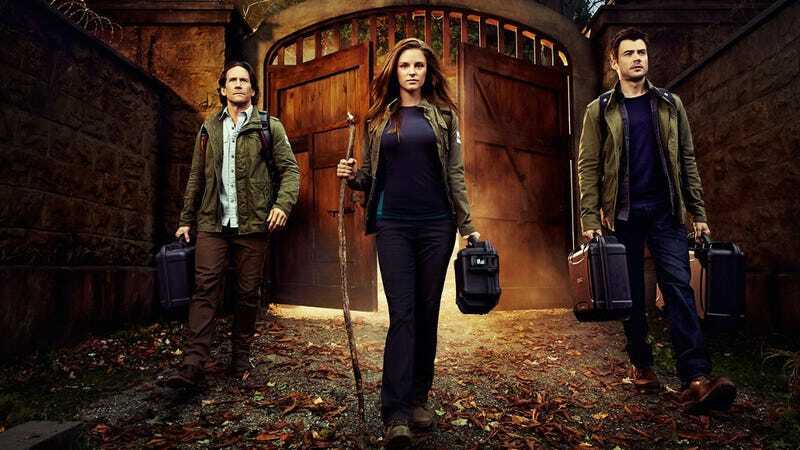 The new season of Helix started off with a lot of unresolved issues from the first season and introduced a few more. How have they been addressed so far and how will they be addressed this season? Spoilers ahead. Here are some questions, observations and guesses on my mind. This is by no means a complete list of every issue going on so far. What's going to happen to to Sarah's baby? One thought is that it will be born on the island and grew up to be Caleb, the mystery man on the island with Julia. He looks to be about the right age. If so, will he inherit his mother's silver-eye traits? He could either be wearing contact lenses or it hasn't activated yet, like Julia before going to Arctic Biosystems. Whether or not he's Alan and Sarah's kid, what is Caleb's story and why is he on the island? What's going on with Ilaria? The first season ended with Julia apparently a big wig in the Ilaria Corporation. I'm guessing Julia is still part of Ilaria. Presumably the Narvik virus has been dealt with by public health officials though the CDC is still watching for new outbreaks. Ilaria apparently wasn't publicly connected to the Narvik outbreak. Speaking of Ilaria and Narvik, is Peter still an Ilaria mole? Alan is a wanted man so I assume Brother Michael doesn't do background checks on his disciples. What is the connection between Ilaria and the island cult? Assuming Sarah has the full silver-eye abilities (she wasn't born into it like Julia) is she still around in Julia's timeline looking the same? Since the TXM7 outbreak affects the silver-eyes is that an intentional feature by whoever designed or modified it (assuming it's manmade)? Or does Sarah's disregard for lab procedure cause the virus to mutate and adapt to silver-eye biology? If Ilaria could get helicopters all the way out to the Arctic Biosystems base why is an island off the coast of Seattle out of helicopter range? Brother Michael had a throwaway line about being 400 miles from anywhere but that raises a whole new set of questions if as implied the island is 400 miles from the mainland..
Where the hell is Sergio Balleseros (the actor is listed in the opening credits)?